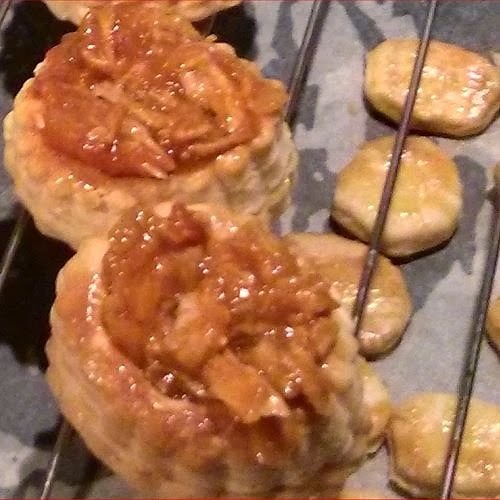 It was something I'd been meaning to do for quite some time - make vindaloo filled vol au vents. I like curry, I like pie, I like curry pies, and I was quite proud of the "vindavent" portmanteau. Christmas seemed like a pretty good occasion to give these a go. 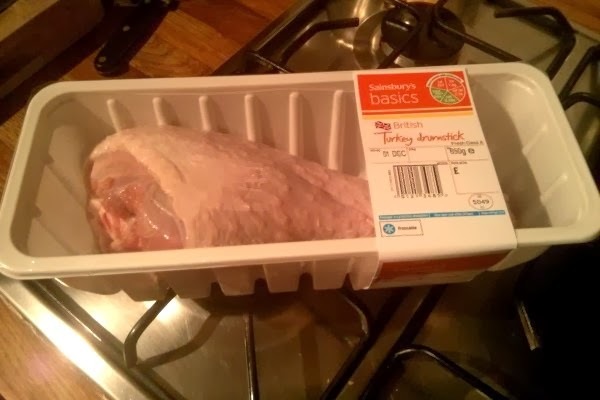 Obviously at Christmas, the meat of choice has to be Turkey. So I visited my local free range butcher and asked him to source for me the finest Turkey money could buy. When it comes to curry, I do usually prefer to make mine from scratch. 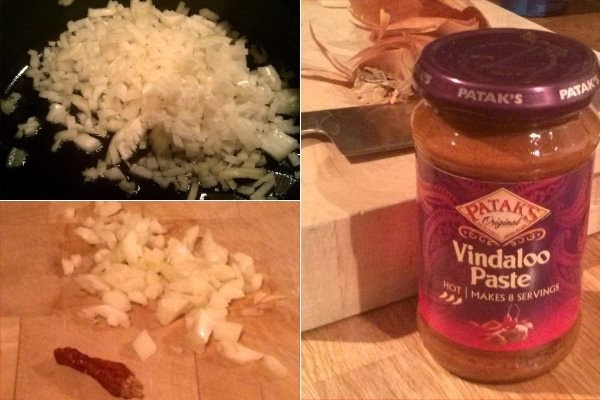 But time was short, so I settled for a jar of Pataks Vindaloo curry paste, which I thought would do the job. However, I did add some extra garlic and a couple of home-grown-dried chillies, just in case the paste wasn't powerful enough. I cooked the curry in oven on a low temperature overnight. 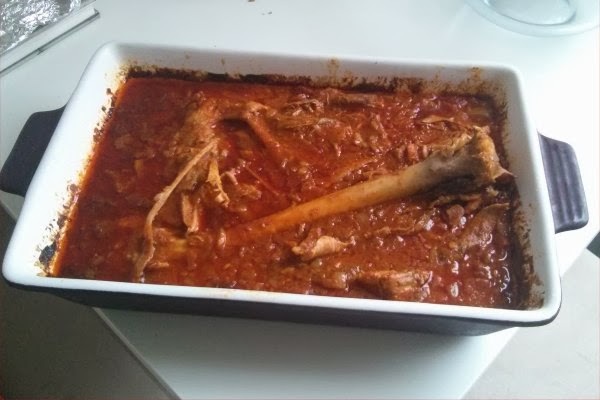 In the morning, I was glad to see that my meat of dubious origin was now nice and tender, and had completely fallen away from the bone. Separating out the pieces of bone and inedible gristle was a quick and simple job after this. 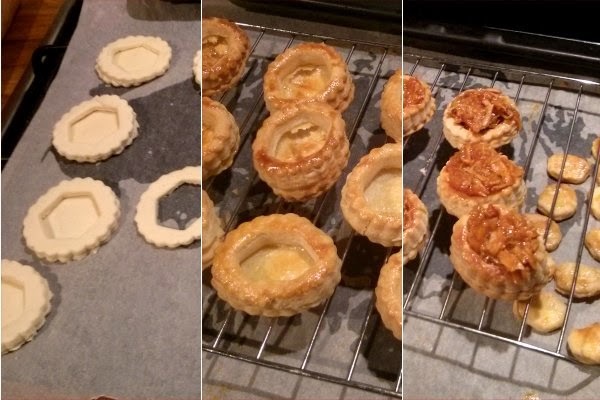 I cut out the vol au vent cases from a sheet of puff pastry, and of course, made little "hats" for the tops. 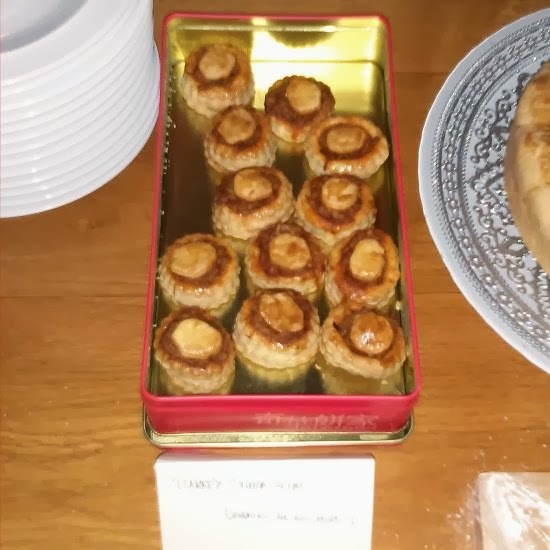 When the pastry was almost cooked, I stuffed them with the curry and put them back in the oven. It was then time to rush them to the Band of Baker Christmas event, before they got cold! I gotta say - the vindavents were pretty good, but needed more heat. I cursed the shop bought curry paste. 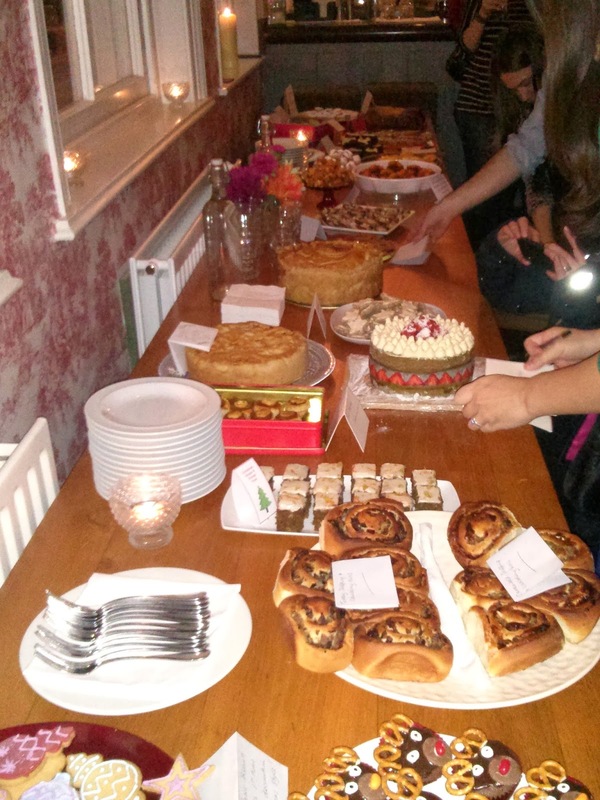 The real stars of the evening were not one but TWO "Christmas pies". Turkey, stuffing, sausage, cranberry sauce and more crammed into a gargantuan pie crust. So if there sufficient leftovers after the Fishbiscuits Christmas dinner, I may well be making one of these myself.